I have bought a Fujitsu Snapscan S1300i scanner - mainly because it is duplex - it saves a lot of time and will scan directly to Evernote. So far, I’m pleased with it, but the initial thought when I got it home was, ‘how am I going to get it working with Arch Linux?’ Fujitsu Scansnap 1300i is supported by Sane, but does require a little bit of tinkering. You need the file 1300i_0D12. Introduction MySQL servers can be a single point of failure if you have not set up a good back-up infrastructure. It is difficult to get a good back-up infrastructure in place, without some time spent out of service. However, a MySQL replication server avoids this downtime. One server will act as the master, and the other will act as slave. The slave will be paused and then backed up. What is Autofs? It mounts a filesystem that is not always connected (e.g. network or device). Once a connection is made to that device, then autofs will handle the mounting of that device. It can also handle unmounting of a device, if it becomes unavailable. /etc/fstab automatically tries to mount during boot - however, it won’t try to mount once a device is connected after boot. You may boot whilst you have no network access - this means that you won’t be able to mount that device. I use org-mode an awful lot - it helps me manage my tasks and code all in one place. However, the organisation that I work for have just migrated over to Google Suite and manage meetings extensively using Google Calendar. I really wanted my Google Calendar to sync with my org-agenda. Org-agenda is a tool that pulls in any scheduled activities from all your files in to one dynamic view. 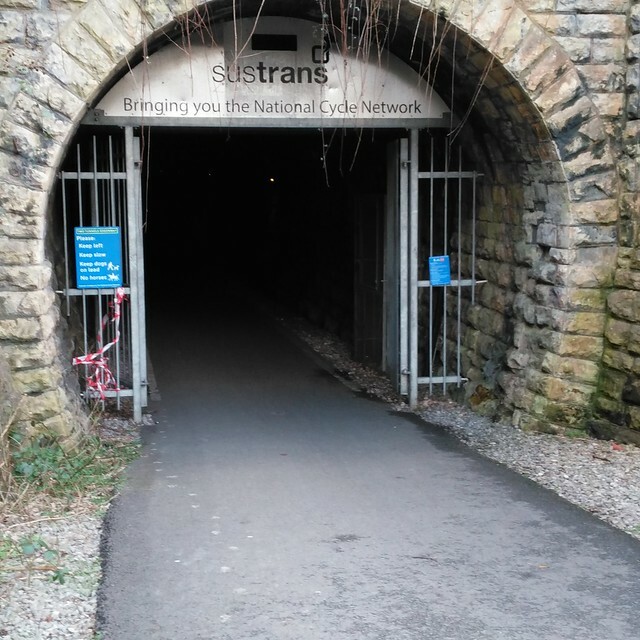 Sunday involved a train ride to bath with a Brompton in fold, and then cycling around the Two Tunnels circular route. A quick stop at The Hope and Anchor pub to avoid the sleet and get a quick half-way coffee, is highly recommended. Amazon Web Services allows you to spin up instances very quickly. This how to will show you how to upload your content to a S3 bucket and then launch an instance that pulls that content in and starts Apache to serve that content. Initially, you will need to create a role under IAM. This will have to be able to access S3, so create the role, choose which service you would like to associate it with. AWS allows you to create your own virtual private cloud (or VPC). This is a network within which your machines will communicate. You can control the level of access across your VPC through subnets, Network Access Control Lists and Security Groups. Network Access Control lists allow particular traffic in and outbound, but are stateless; that is, if you allow traffic in, it doesn’t necessarily mean that traffic will leave the network. Amazon Web Services (AWS) allows you to serve private network traffic from behind a public load balancer. This offers extra security benefits as it detects DDOS traffic and other exploits and offers a layer of protection. There are some things you should know before you start this tutorial. You should know: How to create a VPC How to configure subnets How to create an EC2 instance How to ensure an EC2 instance is within an particular subnet How to ssh to an EC2 instance You will create a new VPC. TADS - Teresa, Adam, Dave and Shep walking. We have been walking for about 2 years now, all around the South East. This was our longest walk by far in two days. Swindon to Goring. The walk started out with us meeting at Swindon having lunch. There seemed to be quite a lot going on in the town with Canadian flags and guys at the train station with Ice Hockey sticks.